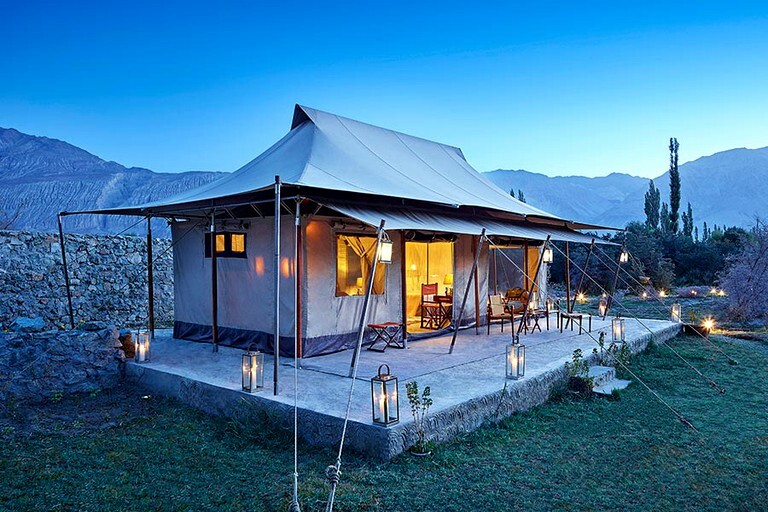 These stunning safari tent rentals near Leh, Jammu and Kashmir, are perfect for a romantic getaway and boasts modern amenities throughout. 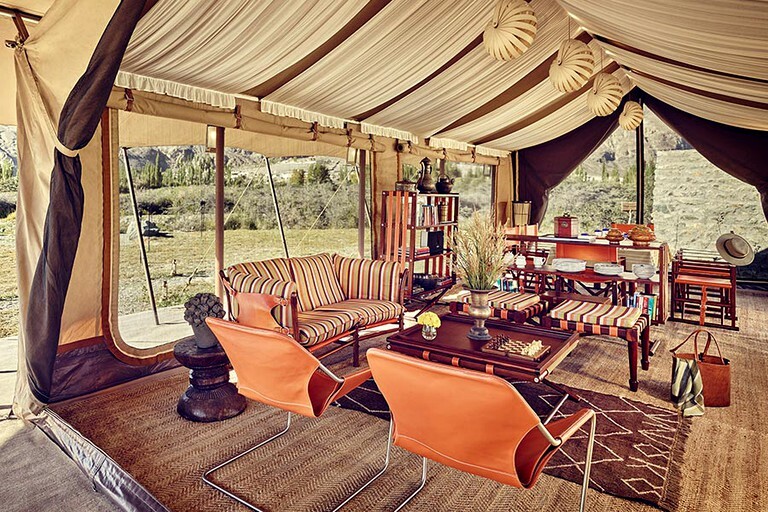 Guests can live like royalty and luxuriate in these large, self-contained tents perched on solid wooden decks. They can also have the option to step out into their own private sit-out, which offers a 360° panoramic view of the mystical mountains and dramatic landscapes. 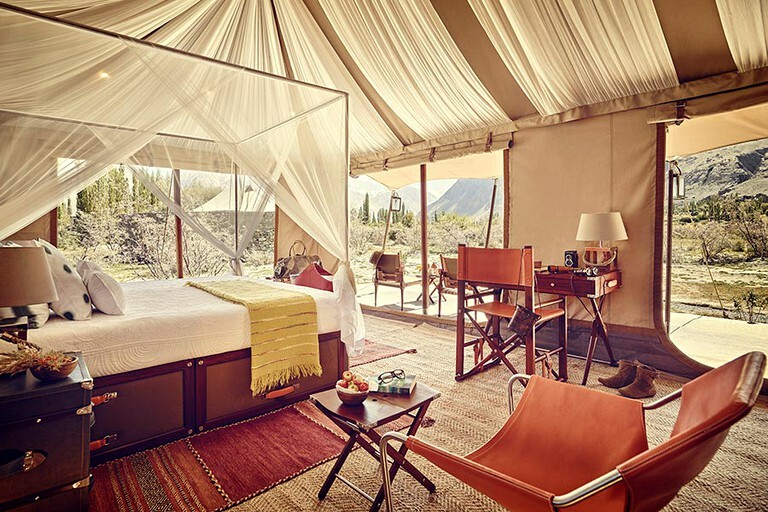 There is a large poster bed in the tent rentals for guests to sleep in, as well as a private en-suite bathroom, and large netted windows that open out to spectacular vistas. 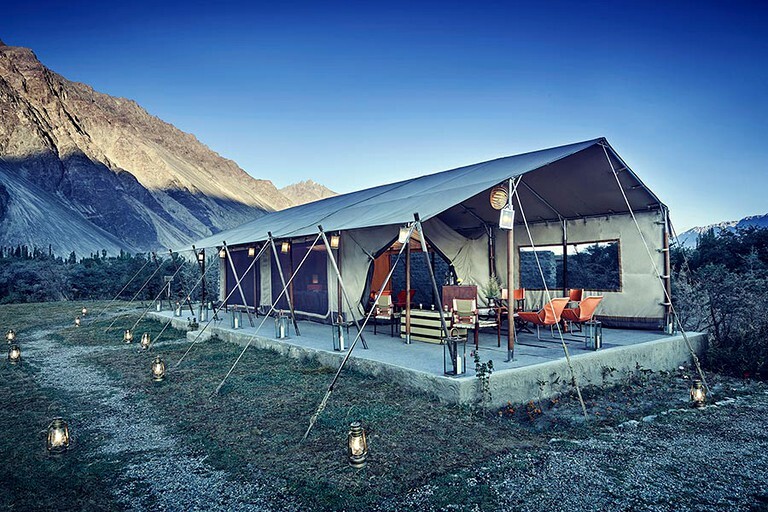 The triple layered tents enhance the natural insulation to keep glampers warm and comfortable, while the all-weather and fire-resistant canvas reinforces top security, which is the hosts top priority. The rate includes a personalized butler service for guests to have themselves an unforgettable vacation. 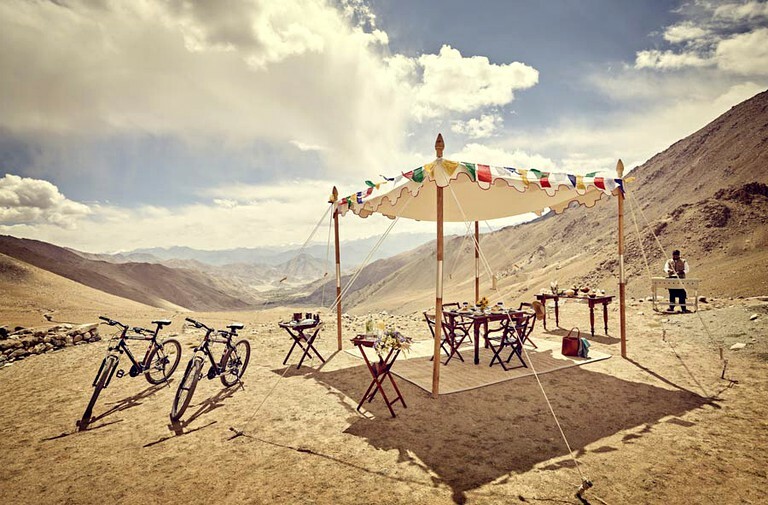 There is a reception tent at this site, where guests can meet and exchange stories and experiences with other glampers. There is also Wi-Fi available, as well as a docking station for iPods, indoor family board games, and a library, where guests can find a selection of hand-picked books covering a wide and wonderful array of subjects right from spirituality to regional history, art, and culture. There is a dining tent on the property, offering indoor and outdoor sitting, fresh, organic and local garden ingredients, along with international, national, and regional cuisine. There are an in-house bakery and complimentary culinary classes, too! The chefs take into account all dietary requirements, if any, while preparing meals. In the shop on the glamping site, glampers can find the best of regional handicrafts including tribal weaves, semi-precious stones embedded in silver trinkets, handmade crafts, paintings, and much more. All gifts are unique and special. - There is a guest relations executive to help with inquiries on the site. 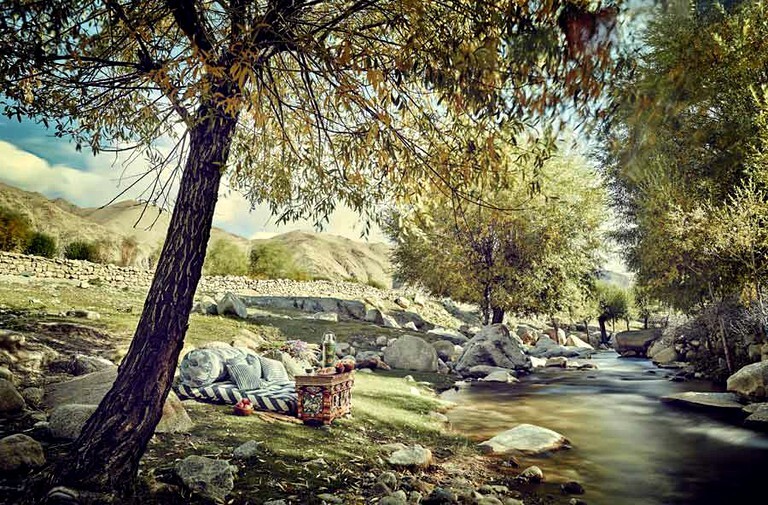 - Glampers will have their very own butler while staying at this site. 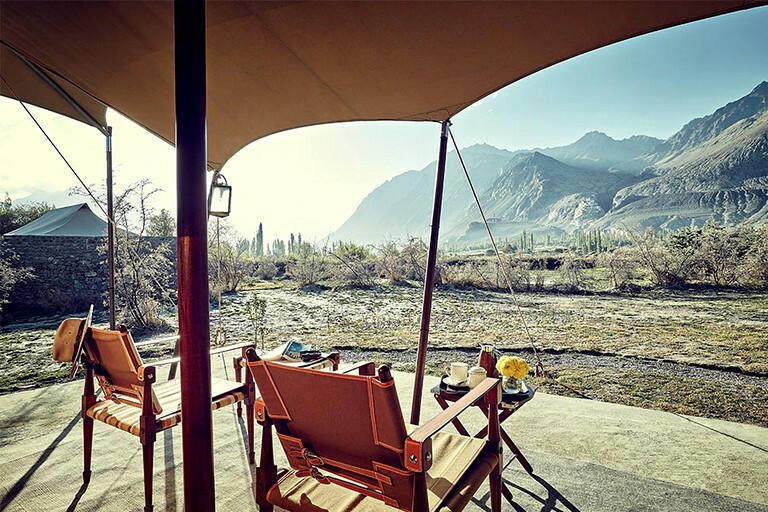 This glamping site has a spectacular all-round view of the soaring Himalayas, sand dunes, and grassy fields. 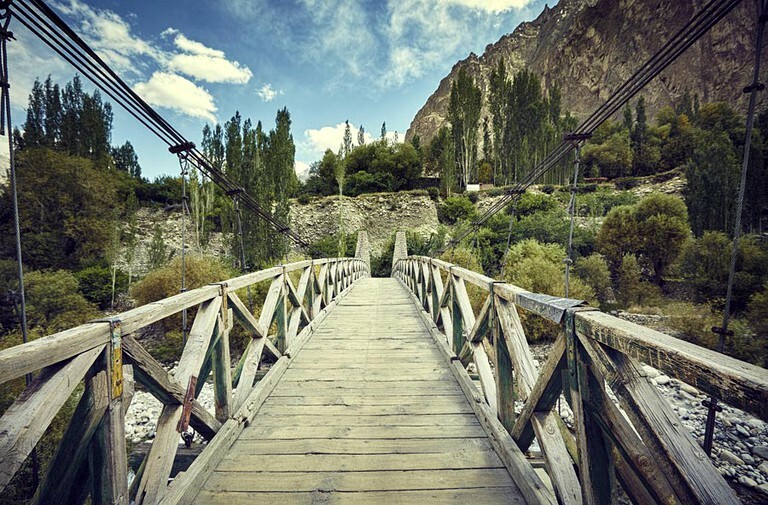 Guests can track the clear spring stream as it cuts through the site, go on a safari, get acquainted with a Bactrian camel, or ride through the villages on a two-wheeled adventure. 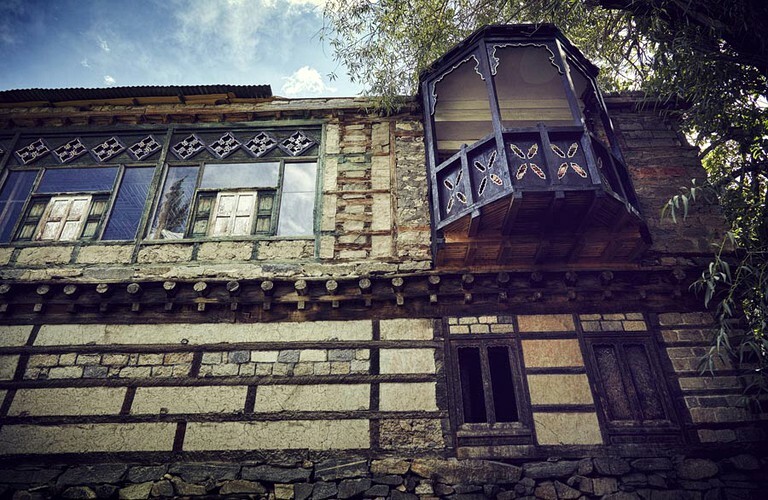 For those who are looking for a more rustic experience, they can walk to the nearby village, field, or monastery and get acquainted with the ever-smiling locals. 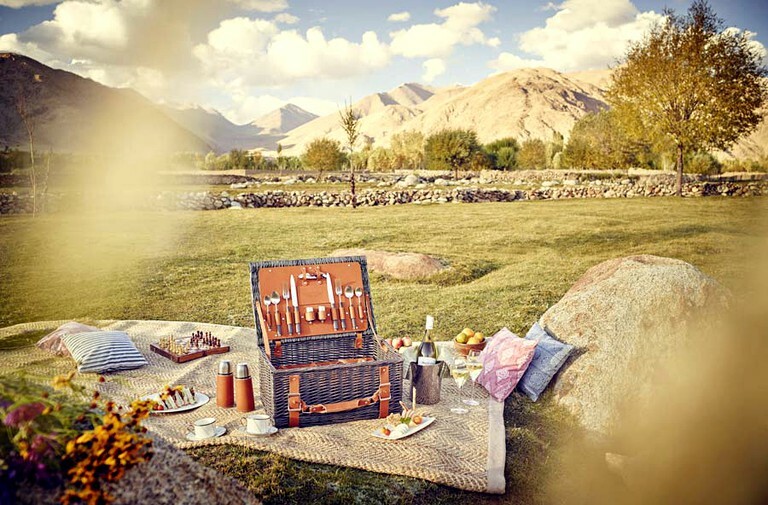 Glampers can plan their day with the help of the Ladakh experts for a luxurious holiday that envelopes every aspect of the Nubra experience. 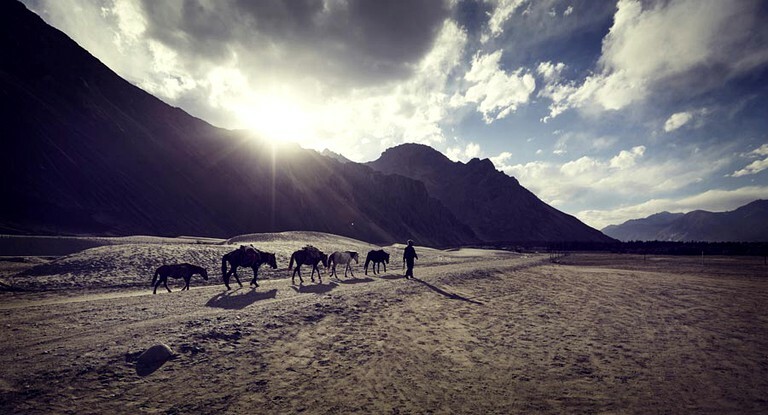 If exploring is more something guests wish to do while glamping at this site, the center of Leh is a three-hour car journey but well worth the visit. 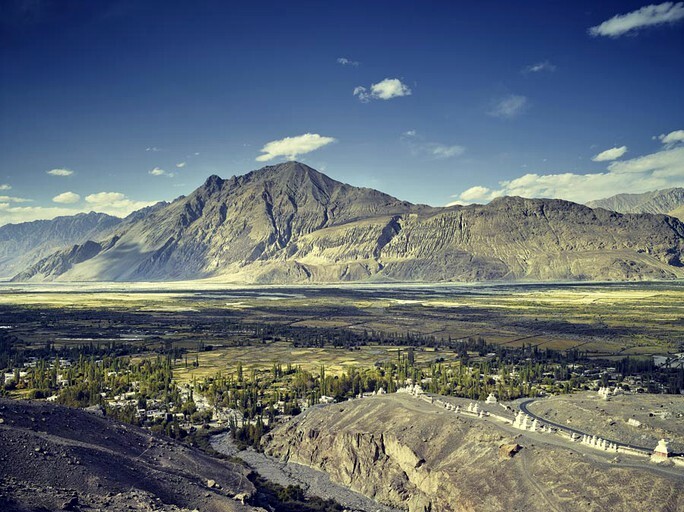 Pangong Tso, Hall of Fame, Gurdwara Pathar Sahib, and Confluence of the Indus and Zanskar Rivers are just a portion of incredible attractions in Leh that are sure to impress. 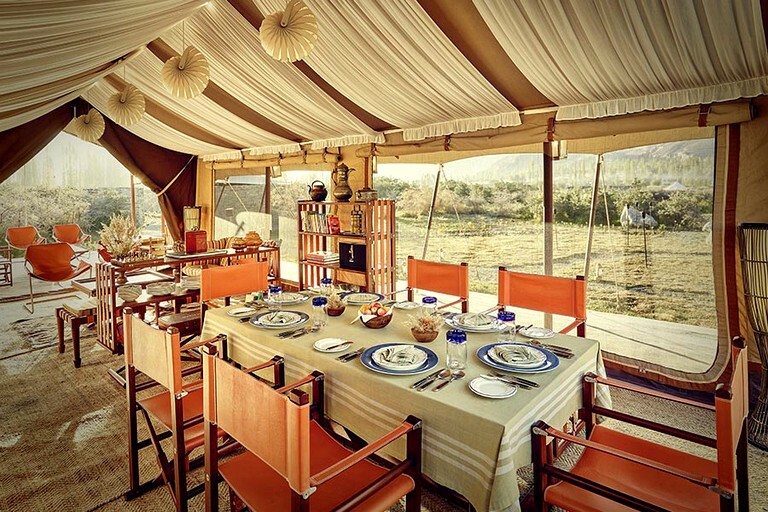 There are packages available at this glamping site for guests to choose from. 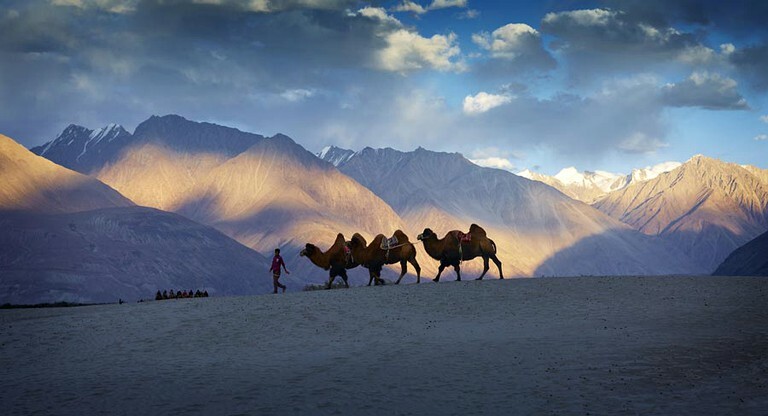 - Rediscover the lost world of Nubra Valley. 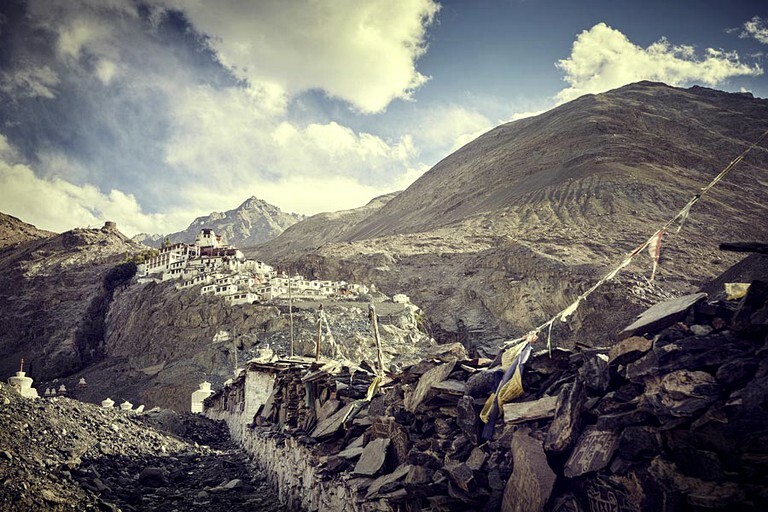 - Guests attend a special prayer ceremony at the Diskit Monastery. - Unique ride on Bactrian camel through the Hunder dunes. - Experience a camel safari along soft white sandy deserts with rolling dunes. 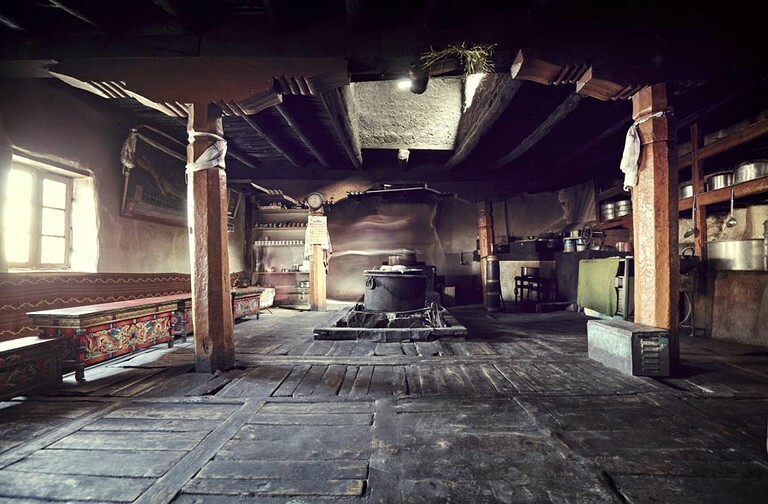 - Be guests at a magical early morning, prayer ceremony at Thiksey Monastery. 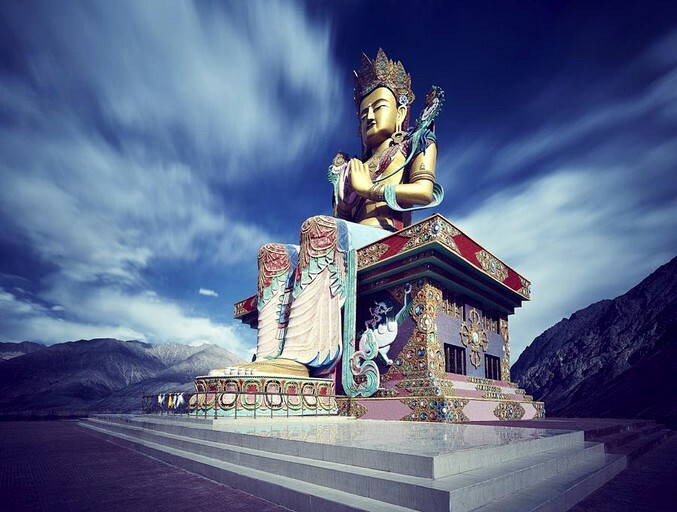 - Watch a colorful sunset from Shanti Stupa overlooking the old city of Leh. 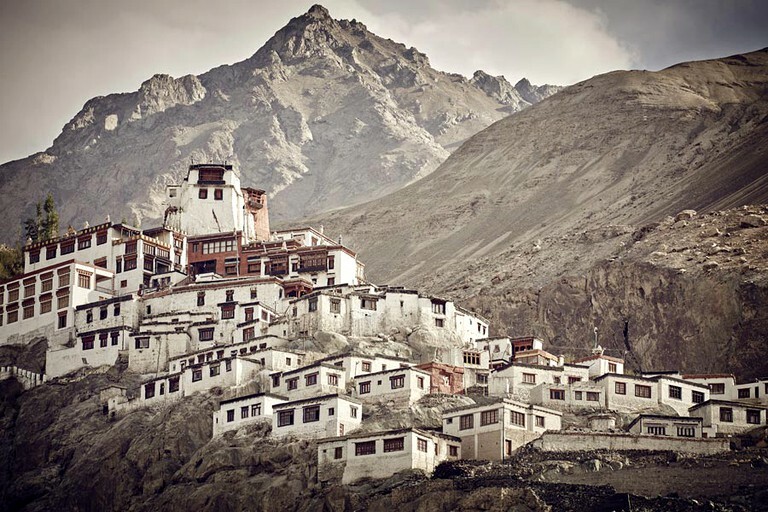 - Drive through picturesque landscape to the fabled Alchi Monastery.